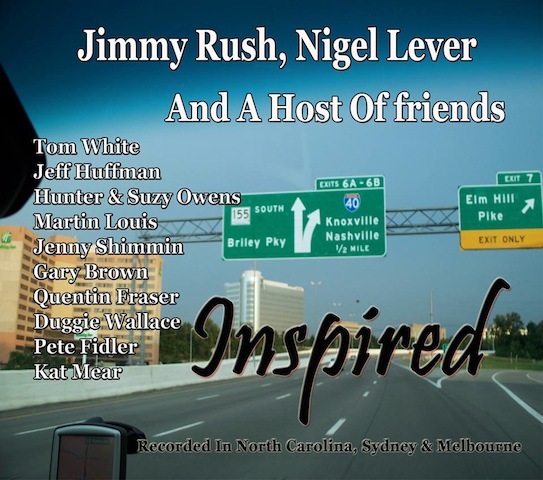 Inspired is a recording project from 2 of Australia’s best known Bluegrass musicians Jim Rush & Nigel Lever. This album is now available from our online shop. Amazing! Two new Australian bluegrass recording released within two months (Mustered Courage “Powerlines” in May). Looking forward to getting the new one to use on “Bluegrass Unlimited” on Radio Adelaide 101.5FM and throughout Australia on the Community Radio Network. Congratulations Nigel and Jim ….Can’t wait to get the album! I want it (based on the reviews), so how would one purchase this? Go to this link Lindsay. Good news, Jimmy and Nigel. We are really looking forward to this. Leonard and the boys from Old South Bluegrass.